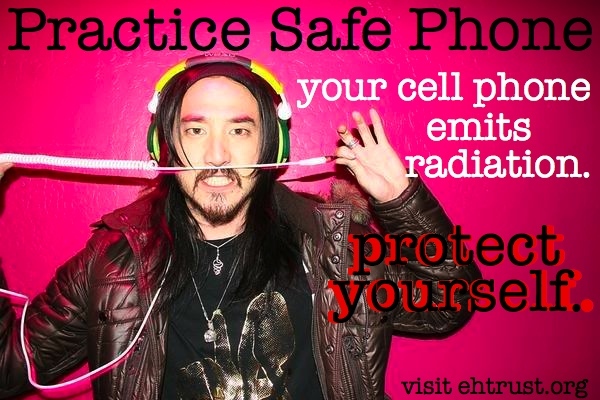 Steve Aoki practices safe phone! Those of you who follow our tweets know that Dr. Davis and DJ Steve Aoki were partying at Club Zoo in Pittsburgh last week. Ready for the big news? Steve Aoki is going to be partnering with EHT to create his own brand of safety cards. He’s going to toss these out to his fans and make sure that they know how to practice safe phone. Tweet him @steveaoki and thank him for looking out for the world’s brains! You rock, Steve.